"Our Glyn" is a unique Welsh schools project that looks to remember the 40,000 Welsh men and women who didn't survive WW1 as we approach the 100th anniversary of the end of a war, that was supposed to be the "War To End All Wars"
The Project is co-ordinated by Cardiff based Just Druid, who are working with strategic partners in Wales, to develope an opportunity for every school in Wales to participate in this memorial project and for the schools to enhance their own digital skills . Funding ( so this project is free ) has been provided by the Welsh Arts Council. Further ideas in developing the project throughout Wales has been provided by the four Welsh regional education consortia and the Peoples Collection website. We are also indebted to Kirsty Williams AM, the Wales education minister, the Headmaster, staff and pupils of Pontyprid High school and and Ffilm Cymru Wales for their support. He was one of half a million troops killed at the battle of Passchendaele in 1917 and the film is shown through the letter he wrote to his Dad, the night before going "over the top" and follows four more letters that his comrades also wrote to Glyn's dad after Glyn was killed. The film also features poetry and quotes by leading WW1 poet, Winfred Owen and ends with the question " How can we remember them ?" - Pontypridd High School, showed them the film, gave copies to the pupils and and posed that question to them. - They created memorial poems, letters and studied local history of 100 years ago. 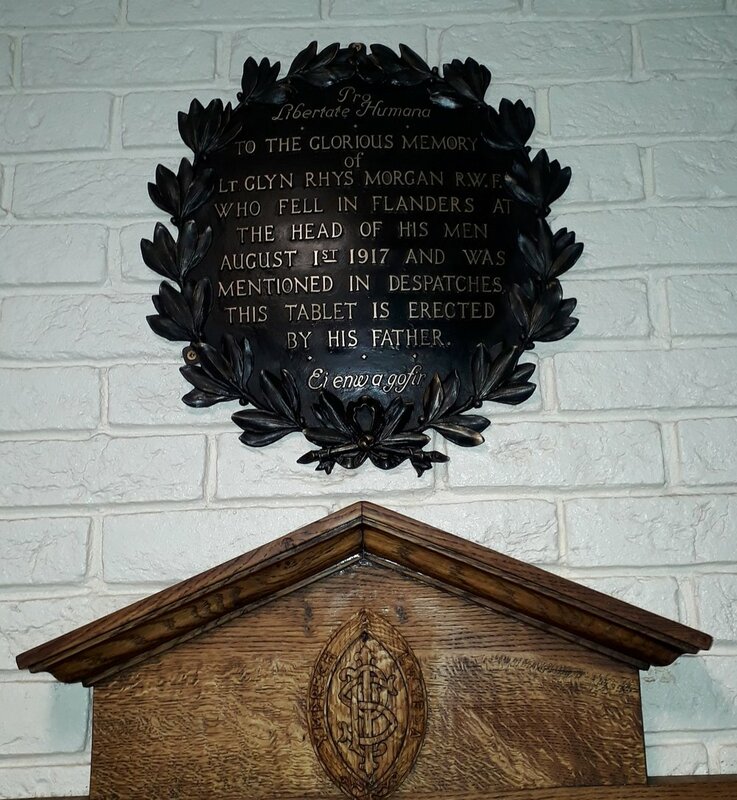 They cleaned and repositioned their memorial plaques including one of Glyn, provided by his father, a former headmaster of the school . "Ponty" then held a Film premiere evening at the school showing the Passchendele film about Glyn and then their own school memorial film. The Pupils also played the last post and read out their poems and letters to the asembled parents, VIPs, guests and former pupils of the school. ... and with our support, our school children can create an unique digital memorial project for our own local WW1 heroes, stored on the internet, for another 100 years...?